A Sardinian Spring Feast with Mario Olianas! 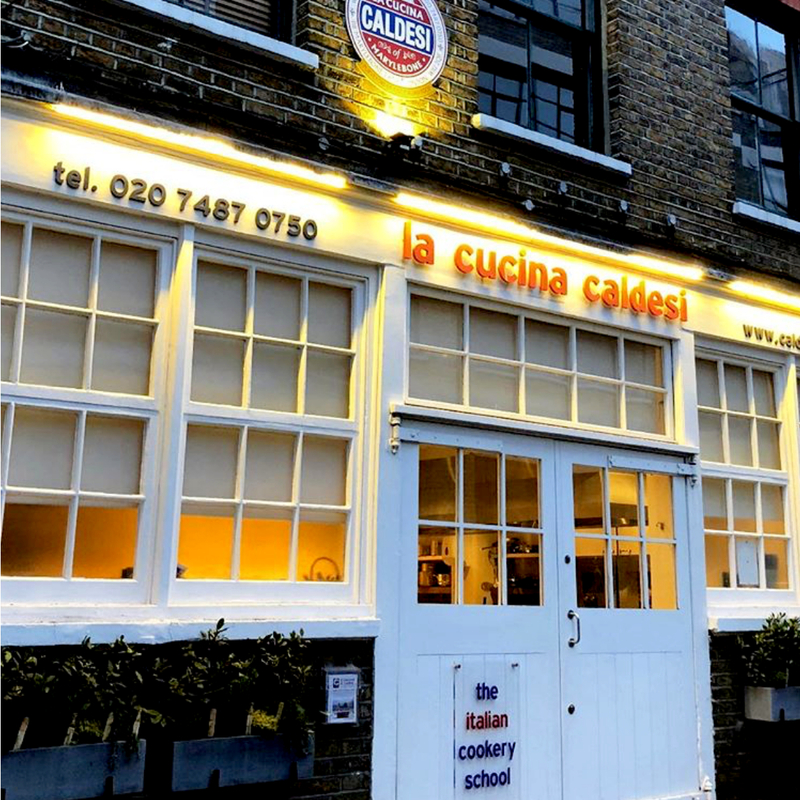 On Saturday 10th March, we had the pleasure of inviting chef and supper club host Mario Olianas to our inaugural Filippo Berio supper club and cookery event for 2018 at the famous Italian cookery school, La Cucina Caldesi. Mario joined head chef Stefano, and the wonderful team at the school for a Spring feast, Sardinian style! Starting the evening in true Italian style (after a welcome glass of crisp, Italian Prosecco from Zonin, of course! ), guests enjoyed a selection of antipasti, including Mario’s award winning ricotta, Yorkshire Pecorino and Leeds Blue. When Mario moved from Sardinia to Leeds, he realised there was a gap in the market for proper, artisan Italian style cheese made using local ingredients, showcasing delicious local alternatives to traditional Italian products. Similarly, we also welcomed the team from Rutland Charcuterie company, which was born out of a desire to put British Charcuterie on the map. After launching in June 2014, they now specialise in making salamis and air-dried meats, all made with their three core values at their heart: Provenance, High Animal Welfare Standards and of course Great Taste. Guests devoured their flavoursome coppa, rutland proscuitto and fennel salami, accompanied with fresh bread and of course Filippo Berio’s extra virgin olive oil and Gran Cru Balsamic. After a welcome from Filippo Berio, chef Stefano, Mario & Rutland charcuterie, guests got stuck in to preparing the food for the evening. On the delicious menu for the evening, we enjoyed.. Baked olive oil cheesecake served with fresh fruit. Each course was instructed by Mario and chef Stefano, and lovingly prepared by our guests, who were all keen to get involved and learn about Mario’s Sardinian roots, and life as an award winning cheese-maker (those 3am starts don’t come easy!). Once the dishes were perfected, tables were prepared and guests were served. Each course was paired with specially selected wines from Zonin, to complement the flavours in each dish. Wine poured, and our sommelier for the evening- Irene talked us through the origins and tasting notes of each wine, to explain why they were paired with each particular dish. At the end of the evening, guests were able to take home a Filippo Berio goody bag filled with lots of delicious treats, including; Filippo Berio 100% Italian extra virgin olive oil, Filippo Berio Gran Cru Balsamic and our classic and sun dried tomato pesto’s. Not to mention limited edition oil and vinegar pourers from Vietri Ceramics- created especially for our 150th anniversary in 2017. Our friends at Rutland Charcuterie, Cirio, Delverde and Lavazza generously donated some gifts to take away with them, too! If you like the sound of this event, and would like to attend the next Filippo Berio supper club, we are pleased to announce the next confirmed date, Saturday 16th June. Keep your eyes peeled on our events page, and make sure you’re signed up to ‘my berio’ to receive updates & details for the event!